Every so often an EP comes out of nowhere that completely captures your attention. 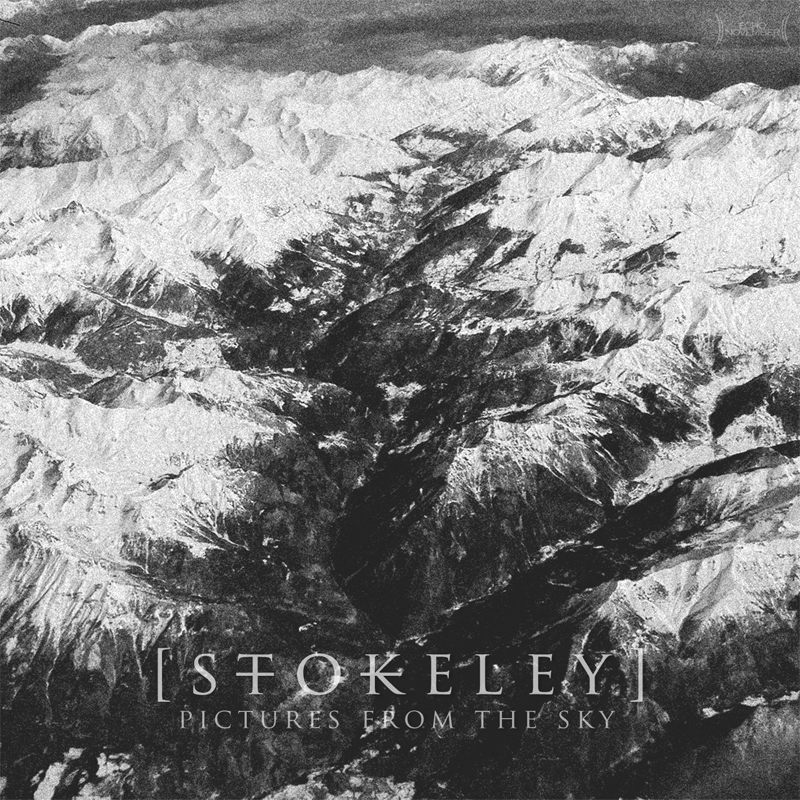 Last year Pictures From The Sky, the debut EP by Cheltenham and Swansea based Electronic artist Stokeley, did just that. Dripping with post rock yearn, vocals filled with Thom Yorke longing and melodies dusted in pop sensibility, it firmly cemented Stokeley as a force to be reckoned with. With his new EP being written as we speak, what better time to ask one of our favourite new gay artists about the effect that his sexuality has on his music, his LGBT heroes, and what we can expect from him in the future. Aspects of my sexuality certainly have motivating affects on me, but whether you could call it influence I’m not sure – thus far, at least. It definitely informs what I do, and how and why I do it that way. The music doesn’t necessarily directly address that part of me, but is always a channelling of what that has made me into. I loved your debut EP, Pictures From The Sky. What inspired your creative process? When writing the EP I was listening to Purity Ring’s album, a lot of Cloud Boat and Burial, and some more straight ambient stuff like Tim Hecker, Grouper and Loscil. I think a lot of elements of all of them filtered down into the general sound of the EP but I was particularly inspired by Cloud Boat’s marriage of organic indie guitar sounds and electronic instruments. It’s a combination I’ve been playing with for a while but didn’t quite finalise until last year. The cover art is beautiful. How did that come about? I took a weekend trip to Rome for a friend’s birthday early last year, my first time flying, and was pretty amazed by the bird’s eye view of the Alps on the way back. So I took some snaps on my phone and affected them to look like Norman Akroyd’s aquatint work, really beautiful monochrome stuff. I think it affected the narrative quite a lot as visual arts influence me to a huge degree. How did it feel having your first EP so well received? I was over the moon with the reception. I didn’t really let anyone hear it until it was out. It was a pretty internalized project from the get go. So I’m glad it was accessible to other people and wasn’t just the sound of the inner workings of my brain almost. Your music drips with splatterings of every genre – who are your influences? Musically, everything I hear will change the way I do things, and what I want to do altogether, to an extent. Many non-musicians influence and motivate me so it’s hard to say. Being gay, do you have any particular LGBT musical icons? I’m incredibly fond of Rufus Wainwright and after seeing him at Glastonbury last year and I am dying to see him again. His songwriting is absolutely second to none. I don’t know of many out LGBT people in the newer electronic genres though. But I’m really respecting what LE1F is doing, and there’s always Romy’s intimate little sing-speech. I tend to think of snippets of lyrics here and there, just words that sound nice together, and I’ll make a note of them. When there’s enough to piece together a narrative I’ll adapt it to what I’m trying to get across. It could be a while before I start something musically that is tonally compatible though. For music I’ll start with chord progressions and find a texture or instrument that realises the the sound well. It’s just blending and layering from there. Songwriting, production and mixing are very often the same thing for me. Perhaps that’s evident I’m not sure. You’ve started your own record label – how did that come about? That’s a University project where we start a label and sign a band and market them. We’ve signed an amazing band, Atrevido, who do really gritty grungey stuff, it’s been amazing to get back into producing and listening to heavy rock all day and night. When you’re not writing and producing music, what do you listen to? I’m a phased listener, so the current roster is changing constantly. I have classic albums that are more closely attached like Kid A, Mezzanine, Interpol’s Antics, Deftones’ self titled… At the moment it’s pretty polarised between FIDLAR, new noisey punky stuff, and your Mt. Wolfs and your London Grammars and other poppy variants of the chilled electronic stuff from the last few years. I’m managing my Artist profile on Spotify shortly so will be able to spread the love, playlist by playlist. What do you have in store for us with your next release? Unfortunately managing a record label is taking a lot more time and energy than I’d expected. I’d hoped to have a concept EP out early 2014 but may put that on the back burner. The follow up to Pictures From The Sky is a more personal and intricate piece, it’s called Father and should be out by mid Summer.